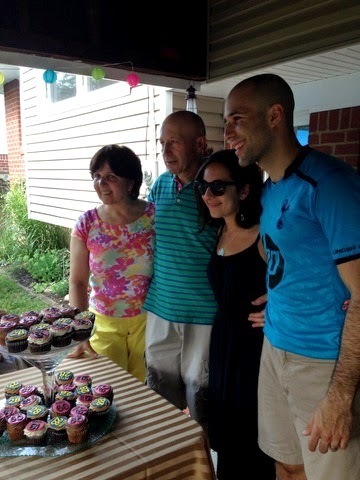 This past weekend, my family celebrated their trifecta of birthdays with a big shin-dig at my parents' house. Aside from all of our favorite people coming out to celebrate, the food (and the dessert especially) is always a big highlight. I'm usually the one that takes care of the latter, as I typically call on the experts to create something special and interesting. 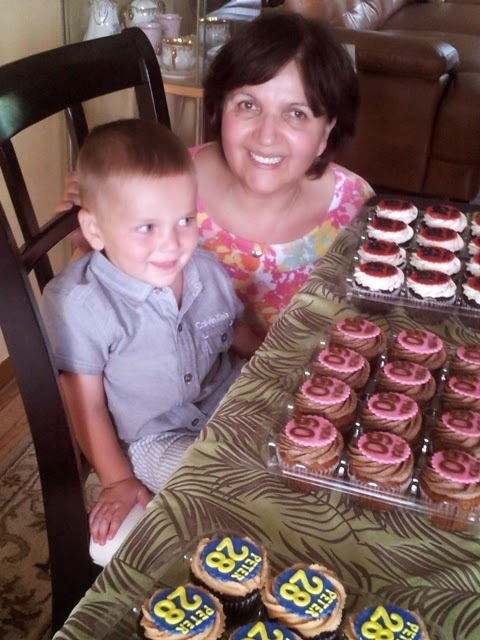 This year, I engaged Lisa from The Chocolate Swirl in orchestrating these fabulous personalized cupcakes. 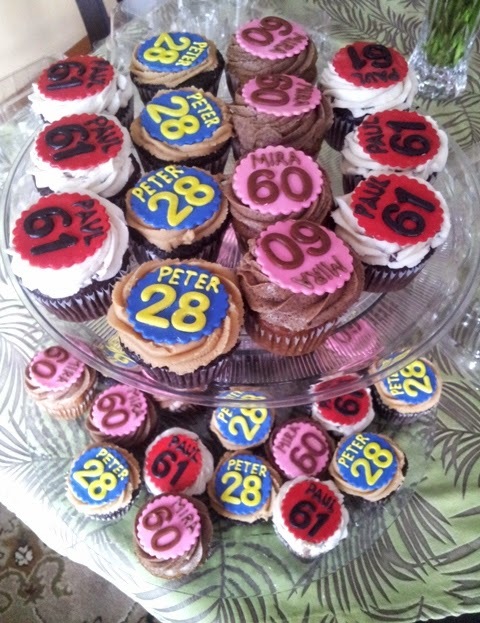 Chocolate Swirl's Birthday Cupcakes - Being able to customize virtually anything at the Chocolate Swirl, I wanted to create three unique cupcakes, tailored to the likings of my Mom (Mira), Dad (Paul), and Brother (Peter). I thought it'd be cool to display everyone's ripe old age on fondant as well, which luckily no one objected to. In terms of flavors, we went with three varieties including: Mira (banana cupcake with mocha frosting), Paul (chocolate cupcake with vanilla chocolate chip frosting), and Peter (Guinness/chocolate cupcake with peanut butter frosting). All three looked beautiful and festive, but one stood out the most in terms of uniqueness and flavor, which was definitely the Peter. I loved the deep chocolate flavor of the cupcake with slight hints of that smoky, coffee essence from the Guinness. Devouring the peanut butter frosting, it was soft, creamy and really peanut buttery, which was awesome. Since the Chocolate Swirl is available solely online, you can contact Lisa directly or you can message her on Facebook. Responsive and very accommodating to all sorts of preferences, I have confidence that you'll get a great experience and that you'll love your order. Cupcakes range between $3.50 - $4.50 a piece, which is a decent price for a truly customized treat.